Picking the right Christmas ecards for business can be a difficult choice to make, with so many to select from you may not know whether to select a traditional scenic view or maybe a design that has more of a sense of fun to offer; such is the overall feeling of the season. We have created the Christmas Eve Chimney ecards that most definitely sits in the fun camp when it comes to electronic cards. 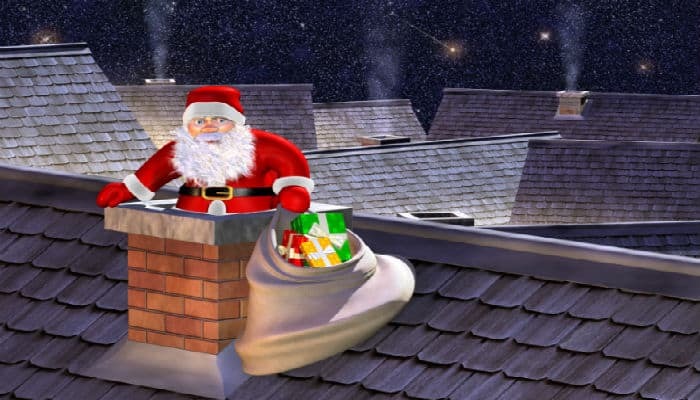 Featuring everyone's favourite bearded chimney dweller; the santa chimney ecards are ideal to send out to all of your customers and clients to really give them a sense of festive cheer. Not only does the card itself have a lovely Christmas holiday scene animation, but there is also the option to add in a second page to ensure that you will get your message across as well as passing on the best wishes of the season. So why not make sure that you send out a gift of corporate holiday ecards by choosing this brilliant and festive design; you can be sure that it is one card that you will not want to take back to the shop once the big day is over.